How you can make sense of all the data sources and analytical tools on the market. It’s no secret there are a dizzying number of available data sources and analytical tools for sales and marketing analytics. This interesting January 2015 infographic by Chiefmartec.com includes 1,876 marketing technology companies. If you work in the sales and marketing space, have some fun and try to find familiar company logos but be prepared to spend a few minutes with a magnifying glass. Despite the impressive list of vendors, even the infographic author admits this is still not a comprehensive inventory. 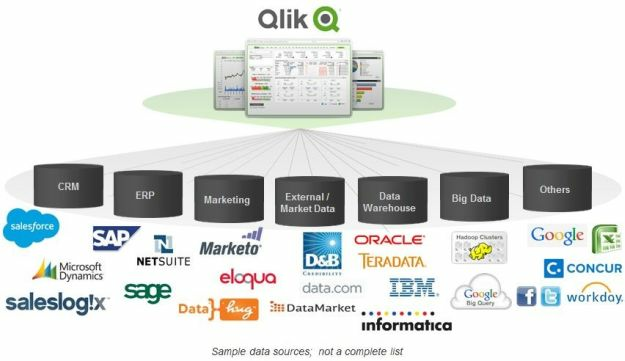 Different vendors could argue they are categorized incorrectly, even Qlik who only appears in the “BI, CI and Data Science” section. The majority of the vendors shown in the infographic are niche and many will come and go. Their value proposition is having a primary focus around a specific data source or business process. This approach provides purpose-built solutions that will satisfy a particular analytical or business need. It also means an enterprise analytics environment made of up primarily niche vendors will result in multiple silos of information and delivery. 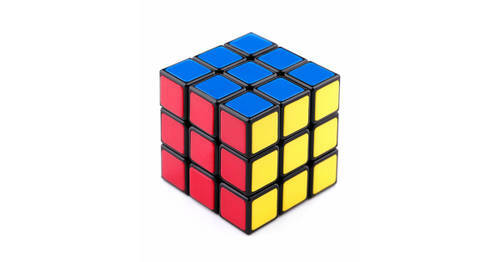 The end result can be redundant analytical processes with competing outputs so the infamous and overplayed “single version of the truth” can’t be realized. Another limitation with this approach relates to duplicative analytical skillsets being required for each system throughout the organization. 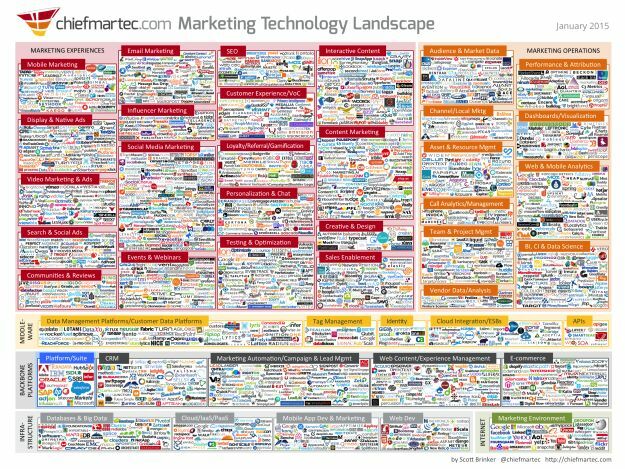 Ever wonder how to rationalize all the available analytical sales & marketing technology offerings? Here's how. 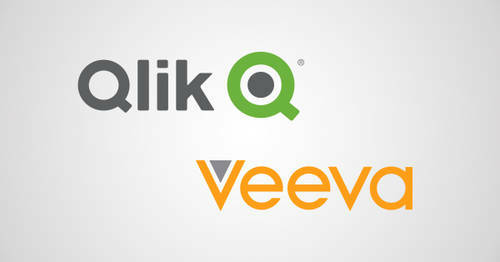 These larger vendors have traditionally focused on business processes to get data intotheir systems. Their claim to fame is having key customer information in one place but we all know that is rarely the case with the explosion of new data sources. More recently, these vendors have jumped on the analytics bandwagon and now sell analytics offerings so they can cross sell into their customer base. While this is a no-brainer move from a vendor perspective, there are some things that should be taken into consideration. First, the built-in analytics offerings tie you into using their applications even if they allow you to connect to multiple data sources. This results in “vendor lock-in” and minimizes your long-term flexibility. You should also consider whether they are really experts at analytics and if they have the experience, innovation capabilities and ability to execute around complex analytical challenges. Another key point is adoption. According to this 2014 infographic from Accenture and CSO Insights, “fewer than 50% of firms have broadly adopted their CRM technology”. If the adoption rates are so low for the underlying platform, how can you be confident that adoption will increase on the ever important analytics front? You can argue this category can be further broken down into “traditional BI” players vs the more nimble “data discovery” and “data visualization” vendors. Regardless, each offers an agnostic approach to multiple data sources. Sales and marketing professionals are able to better take advantage of the underlying source systems and can more easily swap them in and out. This approach also allows you to build a 360° view on sales and marketing performance using governed data to understand the relationship between systems. A potential downfall of this approach is how most vendors either require you to custom-build the final solution or heavily tweak any offerings of pre-built templates. The vendors in this space often sound the same but differentiation is much clearer when you take a close look at their speed to deploy, ease of use/adoption and overall TCO. 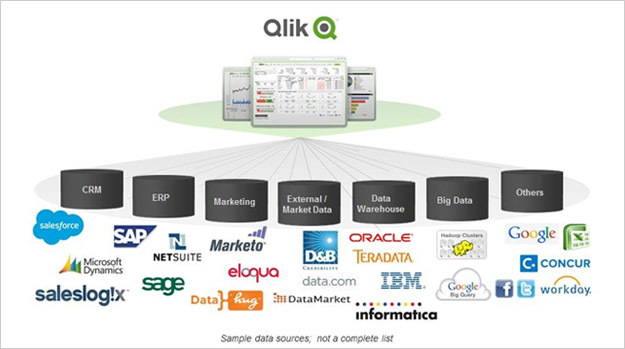 Qlik is a recognized leader in this space with 34,000+ customers, many of whom have deployed Qlik for sales and marketing analytics. Hopefully this helps you simplify how to approach the cornucopia of analytical approaches and choices for options on the market. Ultimately, you need to decide which approach is best for your organization. To learn a bit more about different approaches and challenges related to sales and marketing analytics, check out this quick 2 minute video. As always, your thoughts and feedback are welcomed so feel free to comment below.